Relax in this beautifully appointed home in West Yarmouth. Located in the charming Lewis Bay area, the property has a nice size yard and a home that has been designed to give you that ''Cape'' feel. From the moment you walk in, you get a sense of relaxation. The fully equipped kitchen with beautiful granite countertops, appliances, a breakfast nook, and eating area. The master bedroom is inviting with a queen bed that boasts a beautiful seagrass headboard and a master bath equipped with a jacuzzi tub to wash your cares away. Everything about this home, from the artwork to the Adirondack chairs on the stone patio, beckons you to forget about your worries and enjoy the Cape. Whether you are vacationing with your family or just that special someone, this home will be your home away from home. Prime Season rentals are from Saturday to Saturday. Long-Term Rental (1 month or more): This home is a four season home and is available for rental in the off-season. 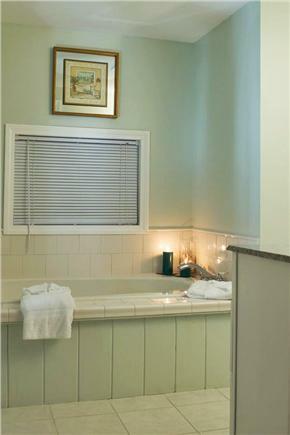 This home is very comfortable and complete with anything you would possibly need during your stay. Pricing per month is $1700, utilities not included. Additional pricing info: Nightly rate dependent on duration of stay, State and local taxes of 14.45% will apply. Very good location. The house was big enough for our family with 3 kids, parents and grandparents. The Wifi and AC very effective. Maria offered us a pack'n play for the baby. That was very nice and useful. many thanks to her. The house is very well located, clean and beautiful! We had a wonderful family time staying there. We definitely recommend this property to my friends, and we will be back for more!!! We just love this house AND the owners!! Maria is wonderful! Very personable, professional and hospitable. The house is beautiful and always is being updated and cared for. Great neighborhood location convenient to everything including the beach, shopping and... liquor store. Lol.. Looking forward to our 6th Annual Girls Weekend in Sept 2018. Thank you, Maria and Mike, for sharing your beautiful home with us. We rent this home every summer with our family. 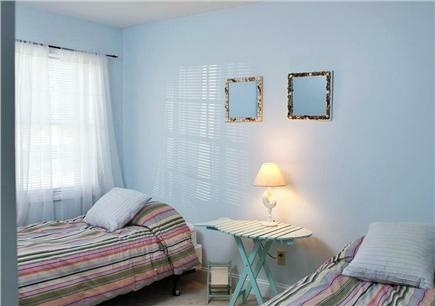 It is in a great location, close to beaches, restaurants, mini-golf, etc. It's so rare to find a 4 bedroom air-conditioned house on the Cape. It has a nice deck, yard, and we love the outdoor shower ! The property is very well kept and clean, and the owners are fantastic. You will not be disappointed with your stay here. This house had everything we needed for a relaxing Cape vacation - and more! Spacious and cozy with refreshing central air after a day at the beach! Large deck and outdoor shower were great. Quiet neighborhood, close to many shops, restaurants and beaches. Maria & Mike were very accommodating and provided excellent resources to help us make the most of our stay in this area. We were delighted when we arrived at Maria's cottage. It's very cozy, family friendly, and very comfortable for our large party (7 people). The surrounding neighborhood is also very beautiful and fun to explore. Maria was very kind and a very convenient host when it came to sorting out logistics. We had a wonderful time in the cottage and at the Cape! Amazing week on the Cape! We're expecting our 2nd child in just a few weeks so we wanted to get away and take our son for one last trip as a "family of 3." This was also the first time we had gone away and decided to rent a house instead of a hotel - I couldn't be happier with our decision. The house itself was everything we were hoping for: extremely clean, great set up, comfortable bedrooms, large deck with grill and outdoor shower.... really just an overall cozy place to call home for the week. Not to mention the house is deceiving and much bigger than it appears from the outside. Really just an added bonus. The location of the house was also great with one beach within walking distance (7/10 mile) and multiple other beaches close by. We personally loved the beach closest to the house as it also had a small playground with swings close to the water that our son spent plenty of time on. In addition to the beaches, there are plenty of great restaurants close by and many others just a short trip away. Some of our favorites included: Yarmouth House, Captain Parkers, Chatham Bars Inn and daily breakfast trips to Pain D’Avignon…. Without question, the best croissants you will ever have! Overall, just a really great week, and we cannot wait to use the house again and make it an annual trip!